The Vosges had been for 350 million years under the constant changes of nature. The beautiful Vosges mountains are the result of several important geological events such as volcanic eruptions, the presence of ice and of the sea in that territory . From - 3.5 million years to - 10,000 years ago, the region was covered by ice which created valleys, peaks, moraines, lakes, bogs, which also gave the appearance of balloon to the massif. The Grand Ballon d'Alsace, also called the Ballon of Guebwiller, is 1424 meters high. Surrounded by the Black Forest, the Alps, the Mont Blanc, it offers a breathtaking view to its visitors. It has a length of 180 km and a width of 60 km. Its name "Ballon" recalls its rounded shapes contrasting with the Alsatian side. The Vosges with its rich greenery and woods, is a favorite destination of many French. 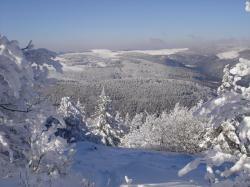 Le Grand Ballon offers an exceptional scenery because it is the highest point of the Vosges mountains. You can access it easily on a hike to discover the areas of fir and beech trees and the lake. The monument to the Alpine Chasseurs, erected in 1927 and stolen after the German invasion in 1940, was reconstituted in 1960 by artist Bouret and can be rediscovered. In winter the resort offers a snowpack that regularly exceeds the height of one meter. This is one of the coldest places in Alsace. 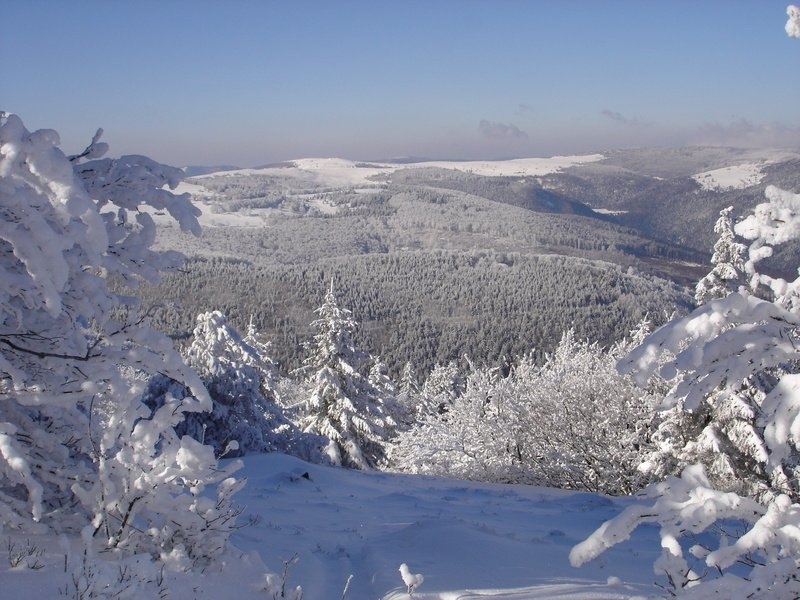 For lovers of walking, the Regional Natural Park of Ballons des Vosges is a protected natural heritage, which contributes to the protection and enhancement of the High Vosges region and the Ballon d'Alsace. It is a very wide area, both quiet and wild. We discover several basins, bogs, which are the witnesses of the quaternary glaciers, magnificent stubble fields, like the Ballon of Sevrance and valleys like the upper valley of the Rhine and the upper valley of the Savoureuse. Info: Located in the heart of Ballon des Vosges Regional Park, in a sumptuous 4-hectare green area, this a charming and peaceful hotel aims to help you relax. Info: This Logis hotel is located 10 minutes south of Guebwiller, between Mulhouse and Colmar. It offers comfortable rooms with free Wi-Fi, TV and en-suite facilities. Info: La Roseraie Biebler is surrounded by a garden with trees and flowers and offers elegant en suite rooms. Guest rooms are spacious and modern and include free Wi-Fi, an LCD TV and air conditioning. Info: Set within a vineyard between Colmar and Mulhouse, at the foot of the Markstein ski slopes, Hotel du Lac is situated in the Domaine du Lac, which also includes Hotel les Rives. It is set near a forest and faces a small lake.